This windows package provides basic diagnostics and allows the user to view messages on the CAN bus and to create CAN messages. It runs under Windows Vista/ 7/8.1 (32/64-bit). The transmission rate and ID length are configurable and a filter can restrict the range of message IDs displayed to simplify analysis of large systems. The most recent data for each message ID is displayed along with the time since last message, count of number of instances, time since last RTR and count of RTR instances. Message IDs can be displayed in Hex or decimal, data is displayed in Hex, decimal or ASCII and errors such as over-run and baud rate problems are reported. 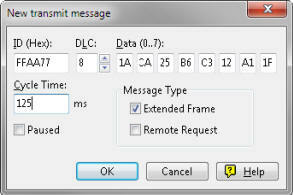 Messages can be sent using the Transmit section as one-shot, repeating periodically or in response to a remote request (RTR). A trace mode allows the operator to record and save CAN Traffic for later analysis. Drivers are provided for Windows Vista/7/8.1/CE (ARM & x86) and Linux (all for 32/64-bit). For DOS and older Windows versions call/email with your needs. They provide a simple interface, that is common to all our PEAK CAN modules, and that is capable of driving up to 8 separate CAN channels. Either simple linear Read/Write commands may be used or the application can be multi-threaded and the appropriate thread started when a specific CAN event occurs. Timing information on CAN messages is available. Example programmes are provided in C++, C#, C++/CLR, Delphi, VB.NET, Java or Python 2.6. 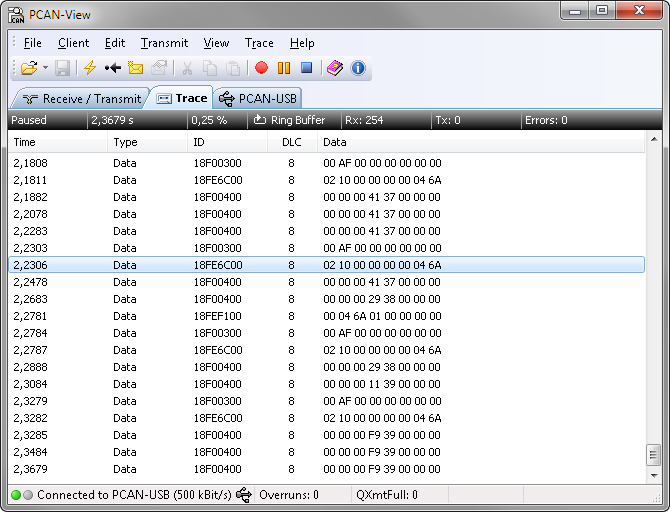 A useful feature of this package is that it is possible to monitor and interact with an application using these functions from a copy of PCAN-VIEW or PCAN-Explorer running on the same PC without requiring a second CAN interface. 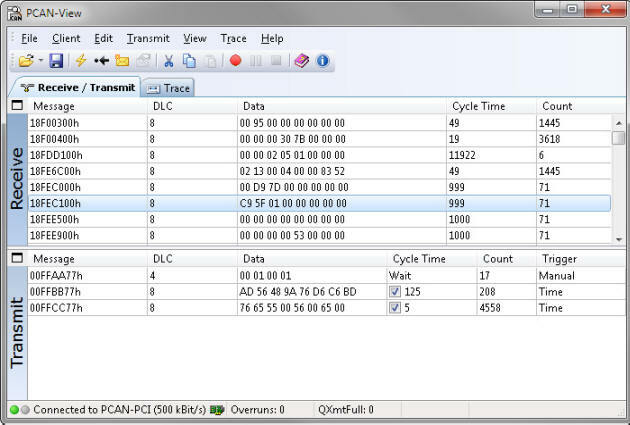 The PCAN-CCP API is a programming interface for the communication between Windows applications (Masters) and electronic control units (Slave ECUs). The API is based on the CAN Calibration Protocol (CCP) by ASAM and is mainly deployed for development in the automotive area. The Extended Calibration Protocol (XCP) is a further development of CCP, but not compatible with it. XCP supports multiple transmission mediums. The corresponding programming interface by PEAK-System is called PCAN-XCP API which uses the CAN bus as transmission medium analogous to the PCAN-CCP API. PCAN-ISO-TP API (ISO 15765-2), PCAN-UDS API (ISO 14229-1) and the PCAN-OBD-2 API (ISO 15765-4) are all supported. These all utilize the PCAN-Basic programming interface to access the CAN hardware in the computer and are free of charge. PCAN-Explorer A sophisticated CAN bus logging and diagnostic package for use with complex applications and including GUI and J1939 support.